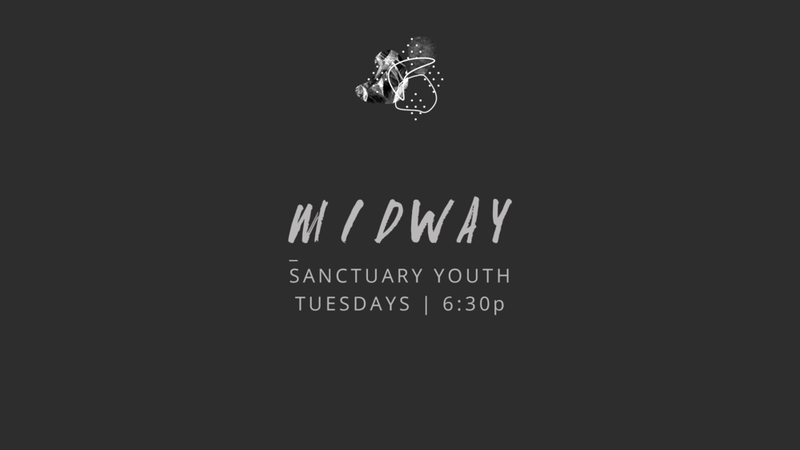 MIDWAY exists so students can be encouraged to become lifelong followers of Jesus Christ. We are here to encourage, give hope, and show love to students. We seek to develop relationships with students and their families, and do life together. Our leaders strive to be examples in students lives through their relationships and help them as followers of Jesus Christ. Our heart is not to simply provide “programming” to raise “good boys and girls.” We are a safe place to be broken. A safe place to ask questions. A safe place to seek Jesus and find refuge. We are family and all are welcome. On Tuesday nights, we gather at Sanctuary Church and learn from the teachings of scripture and Christian tradition. We have a commitment to sincerely minister to each other, to students, and to their families through the grace of our Lord Jesus Christ. To contact our MIDWAY leaders, click below.